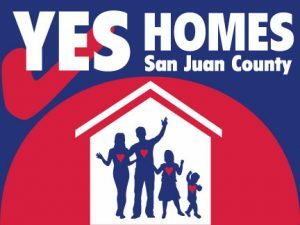 YES for Homes Passes – Thank You! OPAL Community Land Trusts’ trustees and staff thank Orcas Island and San Juan County voters for their support of the “YES for Homes” campaign, also known as Proposition One in the November 2018 election. The lack of affordable housing in San Juan County is hurting island residents, stifling our economy and degrading our communities. Because of your support, OPAL and other nonprofit groups, will have access to more resources in order to meet the needs of our island community.